Health experts have slammed a hospital canteen for selling an 800-calorie ‘fry-up pie’ to patients. The meal – dubbed ‘a heart attack on a plate’ – includes a slice of bacon, a sausage, a black pudding and beans with an egg on top. It is being sold at Ninewells Hospital in Dundee, just around the corner from the cardiac rehabilitation ward where doctors are fighting to save heart attack victims. The NHS trust in charge of the hospital has been blasted by healthy-eating campaigners for continuing to sell the £1.50 pie – which contains a third of a man’s daily calorie intake – despite expert advice. Former government adviser Professor Mike Lean, chair of Human Nutrition at Glasgow University, said the pie was proof that stricter guidelines are needed on what food should be sold to patients. One of those being cared for at the hospital added: ‘There are so many huge and obese staff and patients here, it’s the last place that should be selling something like this. 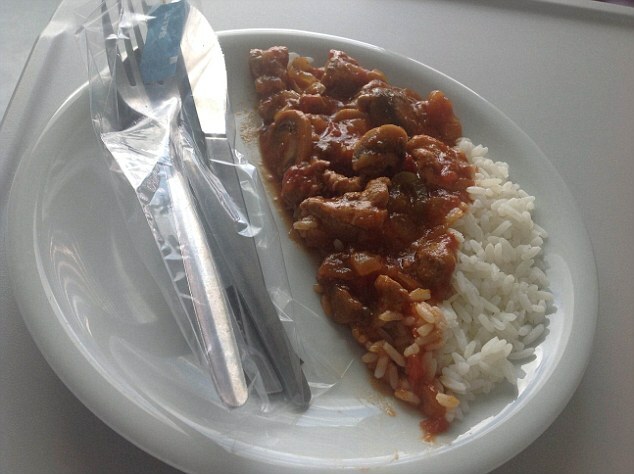 It comes after a patient in Southmead Hospital in Bristol shamed hospital bosses by keeping a photo diary of the meagre meals he was served during his stay. Chef Steven Williams photographed the tiny portions he was given, which included a roast dinner with just one floret of broccoli and a half-plate portion of chilli con carne with rice. After experts criticised those meals for having insufficient nutritional value, others have expressed dismay at the calorie-overload of the fry-up pie. 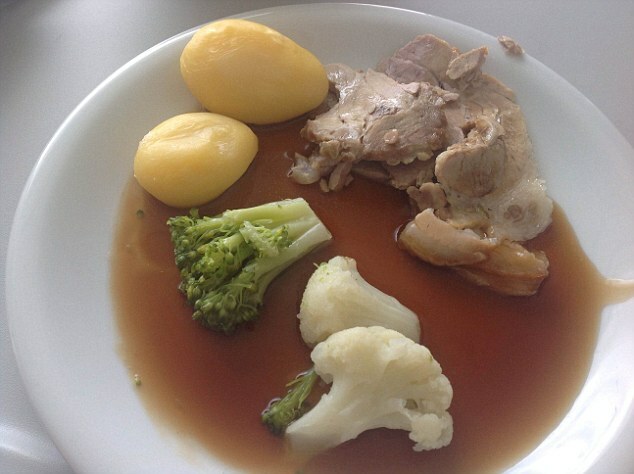 National Obesity Forum spokesman Tam Fry said: ‘What we have here is a heart attack on a plate. ‘It should be absolutely obligatory for the NHS to have wholesome food whether it is from a take-away shop within hospitals or on menus. A spokesman for NHS Tayside admitted the pies are on sale at one of their takeaway outlets – but insisted that healthy food is also available. He said: ‘There are a wide range of meals, snacks and drinks available for the public and staff to choose from including healthy breakfast options such as cereals, fresh orange juice, low fat yogurts and fresh fruit.